After decades of dreaming, it appears that autonomous vehicles are finally within reach. Optimistic futurists seem to think we’re within a few years of having self-driving cars in the mainstream; Elon Musk, for example, thinks we’ll be sleeping in our cars by 2019. And even skeptics of the technology’s rate of development foresee autonomous vehicles as a feasible reality within a decade or two. So just how close are we to having autonomous vehicles on the road in full numbers, and what are the main issues preventing us from seeing them sooner? Let’s start by looking at where we currently stand. Autonomous vehicles are already road ready—at least in some circles. Waymo, for example, is testing actively in four cities, and collectively, their autonomous vehicles have driven more than 4 million miles (about 300 years’ worth of driving) on actual roads, and another 1 billion miles in simulations. Still, fully autonomous vehicles are not available for the general public. Instead, semi-autonomous vehicles have become more common and readily accepted. Most of the top-performing luxury cars of the modern era come equipped with lane-keeping assistance, automatic parallel parking, and other semi-autonomous features. So what problems are preventing fully autonomous vehicles from getting to the road? Ethics. We’re capable of programming cars that can drive by themselves, but how should they make decisions while on the road? There are some key ethical questions left to answer, including how a car should respond if an accident is inevitable; for example, should a car intentionally crash itself, killing its passenger, if it means saving the lives of others? If so, who’s responsible for that death? These are big questions with no “right” answer, so it may be some time before these matters are settled. Transparency. Companies also need to work on their transparency. Most companies are unwilling to go public with the algorithms and systems they’re using to develop their autonomous vehicle technology because they’re proprietary and could make the company vulnerable to poaching competition. However, without knowing how and why autonomous vehicles work, consumers and lawmakers may be less willing to tolerate autonomous vehicles on the road. Legal regulations. Currently, 21 of 50 states have passed legislation related to testing and developing autonomous vehicles, with 33 states having introduced some kind of legislation. Autonomous vehicles operate in an area of legal ambiguity, and lawmakers have been slow to venture into that murky territory. Before self-driving cars are made publicly available, we’ll need crystal clear rules and regulations for how they can be manufactured, sold, and operated. That may take years to decades. Processing power. 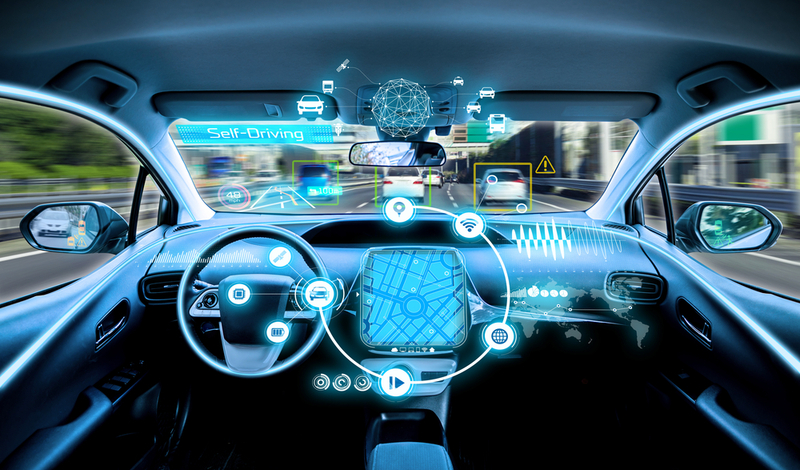 The technology that powers self-driving vehicles is impressive, but it still needs reliable hardware to run effectively, including enough processing power to keep those algorithms running and enough storage to keep track of all the necessary data points. Fortunately, companies like Nvidia are working to introduce higher-capacity systems specifically to accommodate the needs of autonomous vehicles. Cultural acceptance. Finally, we’ll need to see some steps toward greater cultural acceptance. While tech enthusiasts and futurists are excited about the idea of having a self-driving vehicle, more traditional drivers aren’t convinced that an algorithm can outperform them on the road. Without a strongly confident consumer base to buy the vehicles, autonomous vehicle manufacturers will have a tough time turning a profit. The dominant competitor. Right now, there are several dozen companies competing to get the first truly autonomous vehicles on the market, with even more companies focusing on semi-autonomous designs. It remains to be seen who the dominant competitor will be, and how they’ll shape the field. Cost efficiency. Companies have spent years and billions of dollars on the tech necessary to make autonomous cars a reality. It remains to be seen how that investment will be reflected in the price of these vehicles at a consumer level; if cars are prohibitively expensive, it could be even longer before autonomous vehicles are mainstream. Though some companies are explicitly focusing on providing autonomous vehicles for personal ownership (and therefore private use), others are leaning toward providing a fleet of on-demand vehicles for general public use. Autonomous cars may evolve in one, or both directions. We may be only a few years away from seeing the first fleet of fully autonomous vehicles getting into consumers’ hands, but there are still some significant problems to solve. Once engineers and researchers have adequately addressed some of these challenges, we should be within striking distance of owning our own autonomous vehicles.